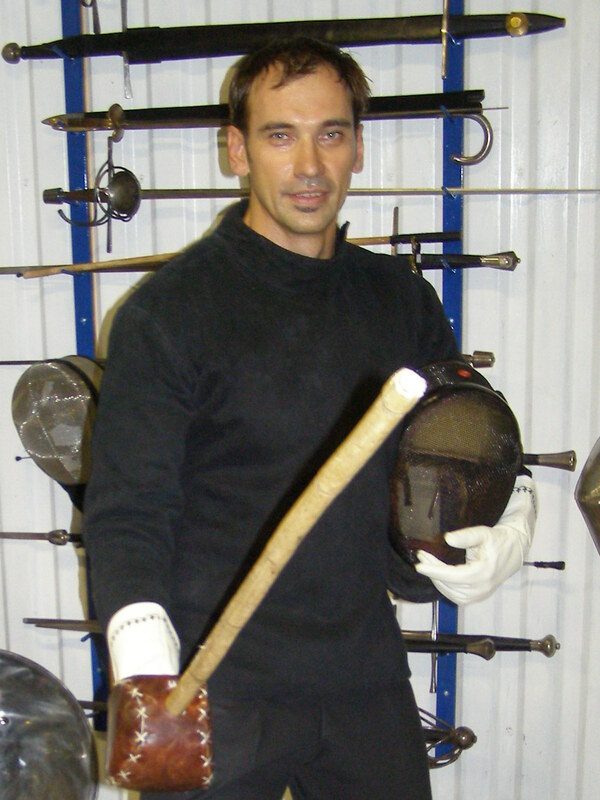 «European Historical Fencing: People, Facts & Events» is Igor U. Andreev. «Back in USSR». Born in Leningrad. In 1995, he graduated from the St. Petersburg Academy of Aerospace Instrumentation, specialty radio engineer. Since 1995, he has worked in the field of Information Technology and Telecommunications. Collaborated with companies such as R&D «LONIIS», Siemens GmbH. and Nokia-Siemens, ADVA Optical Networking Gmbh. In October 2008, began studying classical rapier with Alexander Ulyanov, the founder and leader of the studio «Renсontre» in St. Petersburg. He actively participated in the development of European style and techniques for studying HEMA in the studio. Provided technical and financial support of the SAF during its formation, took steps to entering the studio in the international community HEMA. The next step, in parallel with the rapier he was studying classical sword, which eventually led to familiarity with Smallsword. Love broke suddenly and has not gone so far. Smallsword his favorite kind of epee up to now. Subsequently, the study included not only the most famous French style of Smallsword, but less common: Italian-Spanish and Scottish art. Actively supports and promotes the idea of ​​starting the program of steel fencing saber by Captain Alfred Hutton. Additionally, started to learn Renaissance Italian steel rapier and French la canne. Seminar about Hutton methodic. February, 2011. 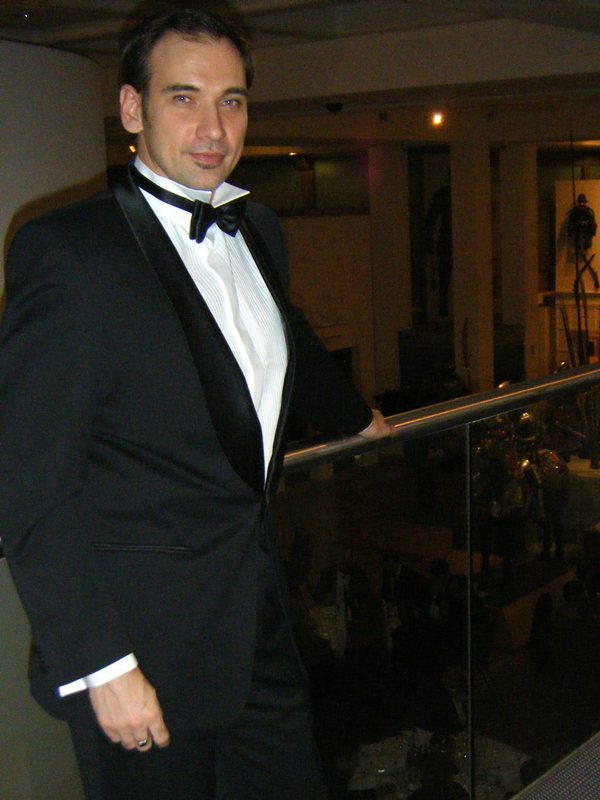 He is one of the main ideologists, organizers and sponsors of the tournament «Grand Asssault» in classical fencing, as well as taking part in the tournament itself as a fencer. 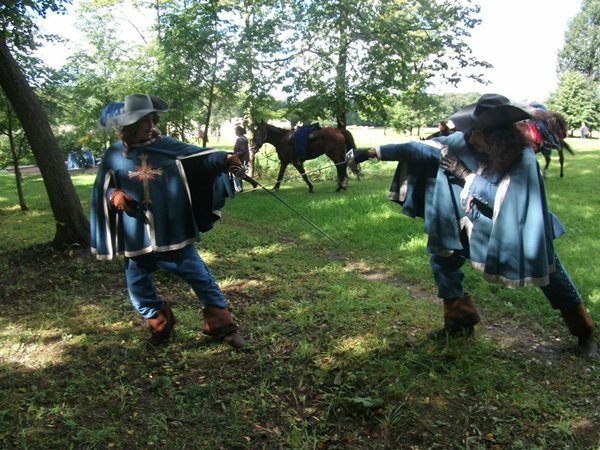 The main idea was derived from maestoro Ramon Martinez and association «Association for Historical Fencing», which is held annually «Grand Assault of Arms» in November in New York. 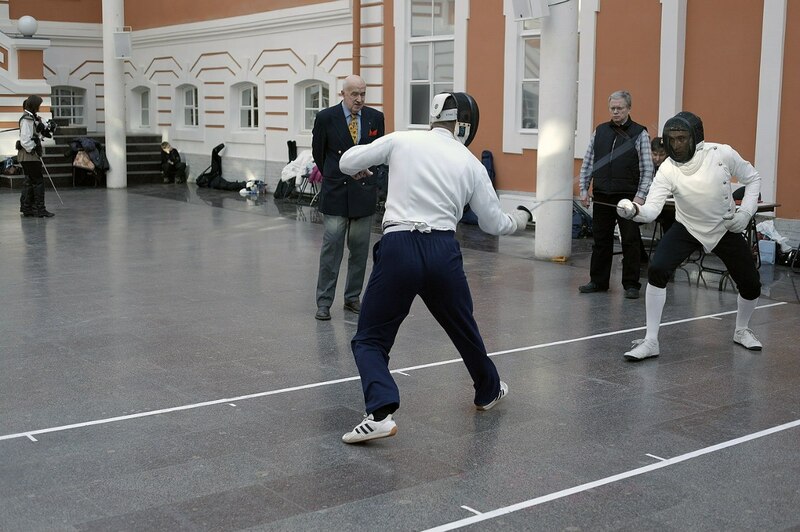 The first Grand Assaults were in St. Petersburg in the autumn of 2009 and 2010 under the name «Rapier 2009» and «Rapier 2010», under the auspices of the studio «Renсontre» and with the participation of fencing clubs in St. Petersburg. Since 2010, he begins to actively develop cooperation with foreign HEMA clubs. At the first personal acquaintance he is going to school in Helsinki «School of European Swordsmanship» and met with the founder and leader of the school Guy Windsor. Later there were another meetings, which added a lot of useful techniques for studying the understanding of HEMA. Igor Adreev and Guy Windsor. At School of Europian Swordsmanship, Helsinki. 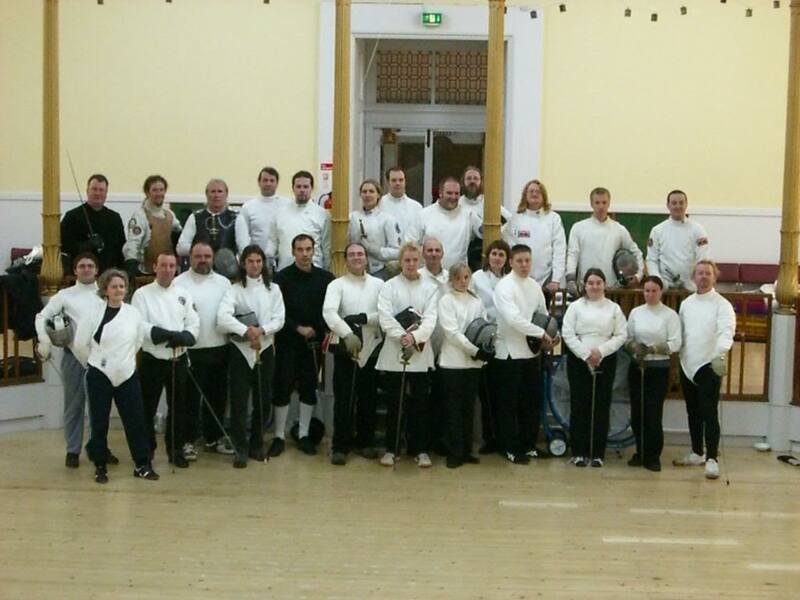 In autumn 2010, he met with British HEMA clubs and takes part in the annual symposium «Smallsword Symposium», in Edinburgh. He takes part in the tournament as well. Getting initiated long friendship and interesting dialogue with members of clubs and schools in the UK. Participants of «Smallsword Symposium-2010», Edinburgh. In spring 2011, he is taking part in the annual event SWASH, conducted by the Historical Fencing British Federation for Historical Swordplay (BFHS) in Leeds in the famous Royal Armory. Takes part in master classes, met with representatives of various clubs and directions HEMA in Europe. «Night in the museum». SWASH-2011, Leeds. In 2011, the Grand Assault went under the title of «Grand Assault» and, thanks to the assistance of the St. Petersburg Fencing Club and its president Alina Tulyakova, held at the city level and is in a beautiful historical and cultural complex of St. Petersburg — Peter and Paul Fortress. Takes part in demonstration matches and supports the organization of the event. In December of the year, sent an application and officially become a registered member of the «Association for Historical Fencing». Ideas of Association about the development of classical fencing and HEMA were quite close and clear-minded. In addition, it has been derived from this idea of ​​grand assaults. 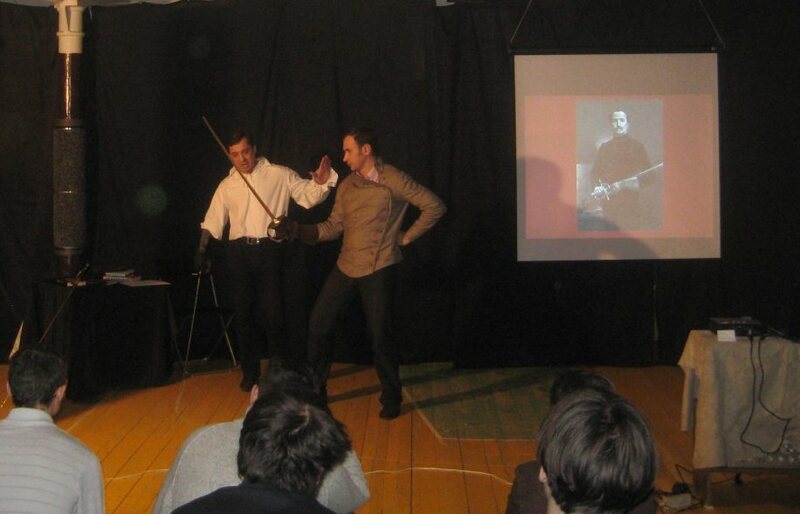 Then he started a small project «Swordsman of Siena» on pages of LiveJournal, which publishes a variety of materials dedicated to the art of fencing, events, people. In 2012, to enhance the skills and tactical outlook begins to actively explore the sport epee, took lessons from the Master of Sports, Honored coach of Russia — Kirill Kandat. In 2013, in February, he is invited to the Organizing Committee for the «Open tournament classical foil in St. Petersburg.» Providing institutional support and take part in the tournament, finishing 4th place in it. He fenced on the Italian foil, in the style of northern Italian fencing school (school Giuseppe Radaelli), as it was studied by the available materials, the principal of which are the work of Maestro William M. Gaugler. «Classical Foil Open Tournament in Saint-Petersburg 2013». In March 2013, to expand the circle of friends, to share skills and information with the international community, HEMA, he applies for and become a registered member of the HEMA Alliance (HEMAA). This alliance, which brings together a sufficiently large number of clubs and schools of fencing, and is interested in promoting international cooperation. Also, this is probably one of the few resources that provide excellent and comprehensive base for almost treatises and textbooks in fencing. During training takes lessons on the skills of stage fencing and even acted in a small scenes as a backup fencer in several films, one of which is a new series of Sergei Zhigunova «The Three Musketeers», which comes on the TV in autumn, 2013. «Coffe break». At the movie making «The Three Musketeers», 2012. Today he is a kind of «Freifechter» and Practicing Theorist. He deals with the theoretical and practical study of various aspects of the use of tactics and techniques of fencing depending on the use, ownership and region of fencing origin, promotes the idea of ​​visual integrity and the use of ancient treatises without intervention from the perspective of the current level of knowledge of fencing. He is collaborating with schools and clubs of historical stage fencing in St. Petersburg and other cities, participated in tournaments in classical fencing and rapier steel fencing of Renaissance. He writes essays and literary publications is translating from foreign languages, he has studied the artistic and literary heritage in the history of fencing. THE FUTURE OF FENCING IS ITS PAST.